Terms and conditions of use of the VinylPlus® Product Label web site. The personal information which you supply via our website is stored in the files of VinylPlus. Only the information from the fields of the Application Form will be saved in our database. This data may be processed by VinylPlus as part of its customer administration procedures, market research, or customised information and promotional campaigns relating to its products and services. In accordance with the law concerning the protection of privacy of 08.12.1992, you have the right to access, and if necessary rectify, all of your personal data. You also have the right to oppose, for free, the use of your data for direct marketing purposes. entitled to object, free of charge, to your data being used for direct marketing purposes. You can submit your request for viewing, correction or opposition to info@vinylplus.eu or send them to us by post at VinylPlus – Avenue de Cortenbergh 71 – 1000 Brussels – Belgium. VinylPlus endeavours to update the information on a regular basis, but it is not claimed to be exhaustive, complete, timely and/or accurate. VinylPlus has compiled the pages on this web site very carefully, and the information placed on this web site is offered in utmost good faith. Nevertheless, VinylPlus makes no representations or warranties as to the completeness, timeliness or accuracy of any of this information. Neither VinylPlus nor any contributor will be liable for loss or damages of any nature whatsoever resulting from the use of or reliance on the information contained in this web site. This site and its content, including images, where applicable, are subject to the copyright of VinylPlus. Reproduction is authorised, except for commercial purposes, provided that the source is mentioned and acknowledged, save where otherwise stated. Where prior permission must be obtained for the reproduction or use of textual and multimedia information (images, sound, software), such permission shall cancel the above-mentioned general permission and shall clearly indicate any restrictions of use. VinylPlus claims no copyright on any official document or document in the public domain. Copyright, if any, of third party material found in this site must also be respected. 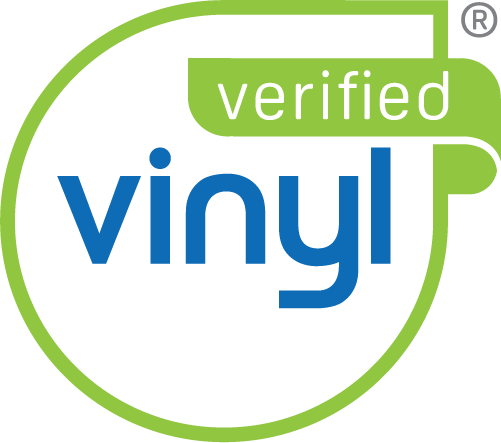 The VinylPlus logo is a trademark registered by VinylPlus in Europe. Therefore, this logo/trademark are subject to the property rights of VinylPlus; no rights are granted, except for member companies and National PVC Associations. The strapline (encompassing key attributes) is available for use across the 28 EU member states plus Norway, Switzerland and Turkey. Links to other web sites are provided solely as a convenience. Therefore, those links imply neither responsibility for, nor approval of, the information contained in those web sites by VinylPlus. Contact us at info@vinylplus.eu for more information about the activities of VinylPlus and the VinylPlus Product Label.